Sound the trumpet, cue the applause, the Royal Ballet’s first new Swan Lake in 31 years is a sure-fire hit. Liam Scarlett’s creation still tells the story of Prince Siegfried falling in love with Odette, a Princess transformed into a swan by the evil sorcerer Von Rothbart, before being tricked into swearing to marry Rothbart’s daughter Odile. Like most productions today, it also works from Marius Petipa and Lev Ivanov’s 1895 choreography. Swan Lake. Marianela Nuñez as Odette. © ROH, 2018. Photographed by Bill Cooper. Through a series of subtle touches, however, it makes the drama smoother and more coherent, while allowing interesting slants to be placed on the characters. The seriousness of Siegfried’s duties are hinted at through military costumes, Rothbart has a far greater presence than usual, while there could not be a more tearful ending than the one chosen here. Casts vary, but when we attended Akane Takada in the dual role of Odette / Odile was something special. As the former she reveals excellent shape as the tensions that pulsate through her body create the lyricism. As the latter she is flashy and seductive, while the sheer extent to which she can tempt and manipulate with her movements is also attributable to Scarlett’s own vision. 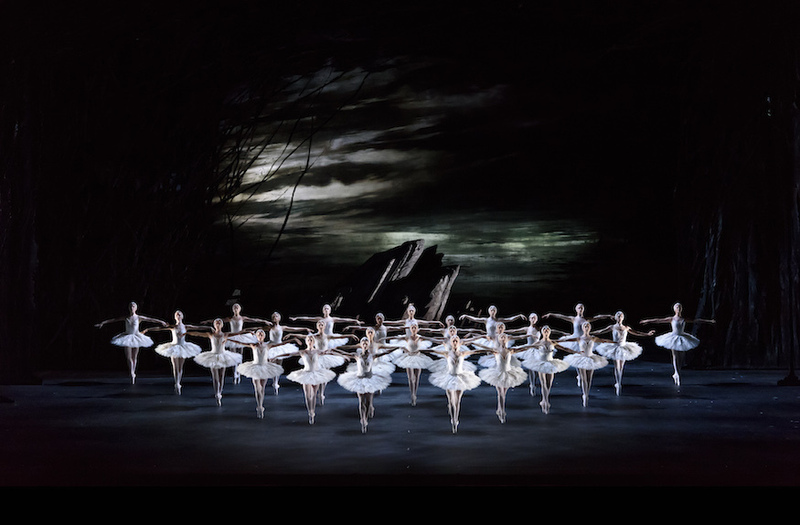 This Swan Lake comes highly recommended, either at the Royal Opera House or at a live screening in various cinemas or outdoor venues on 12 June. Swan Lake, Royal Opera House, Bow Street, Covent Garden, WC2E 9DD. £5-133, until 21 June 2018.